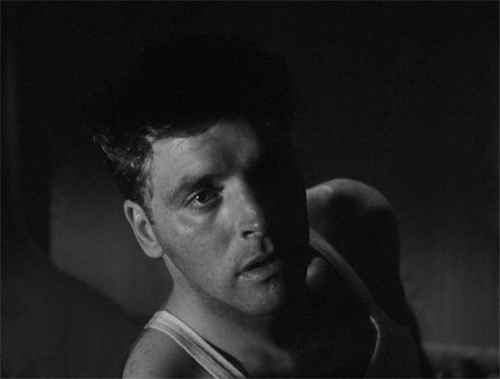 One of the things that strikes you about Siodmak’s great film Ernest Hemingway’s The Killers is the storytelling. It’s brilliant. Fracturing a narrative and reassembling it is much more interesting then just relating events in a linear flow, at least to me. 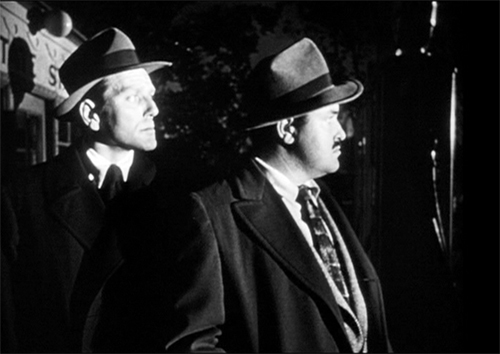 The film I’m reminded of most by Siodmak’s approach is Orson Welles Citizen Kane which was released 5 years earlier in 1941. Kane had a tremendous effect on the filmmaking community, it was like a bomb of creative freedom, influencing generations of filmmakers. 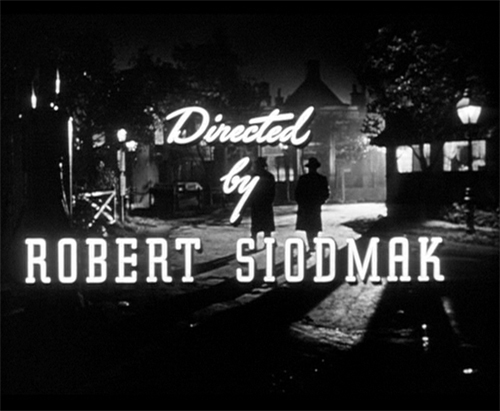 I’m sure it blew Siodmak’s head off and he shows it’s influence in several ways. First off both films start with the death of their main character. 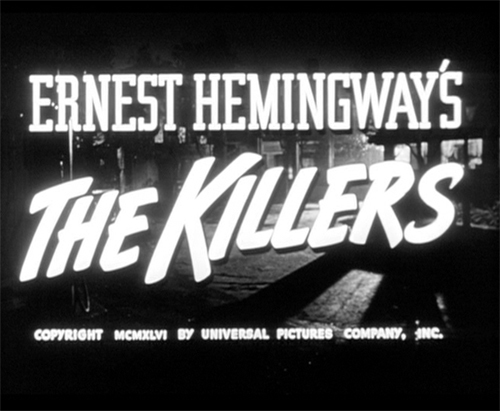 In The Killers this opening scene is all that’s based on Hemingway’s short story. The rest of the narrative was invented by the screenwriters. (Including an uncredited John Huston according to an interview with Siodmak). This was Hemingway’s favorite film adaption of any of his works and he would screen the film at the drop of a hat for guests down in Cuba. The opening is sensational, no credits, no fade in, just cut wham! to a POV driving down a rural road at night. 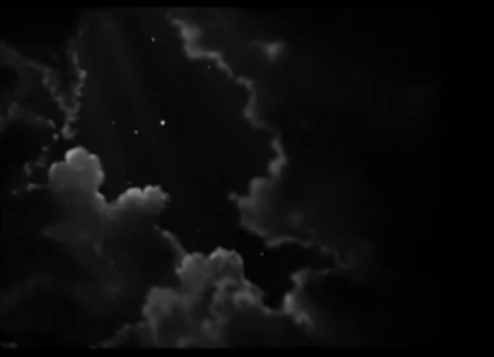 What a way to start a film, Dynamic! 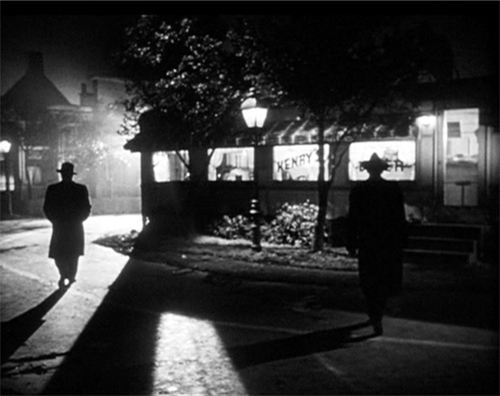 Then we get the credit sequence as we see the two killers (William Conrad and Charles McGraw) walking up to a little diner. An innocent American small town, like a Norman Rockwell painting and two cold as ice killers cruising it’s quiet streets. Talk about a study in contrast, a very Hitchcockian element, showing pure evil in the midst of picture postcard setting. Then we get another Kane simile, the story is taken over by an insurance investigator. In Kane it’s an investigative reporter that leads us from one story to another. 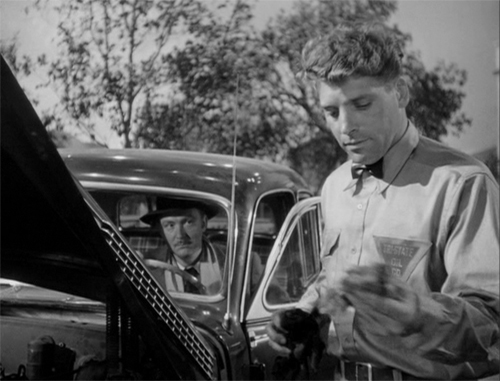 The cast is excellent, Burt Lancaster’s first starring role and an early outing for Ava Gardner. They both never looked better and the sexual tension smoulders between them like molten lava. But Burt falls in love and that’s his undoing. 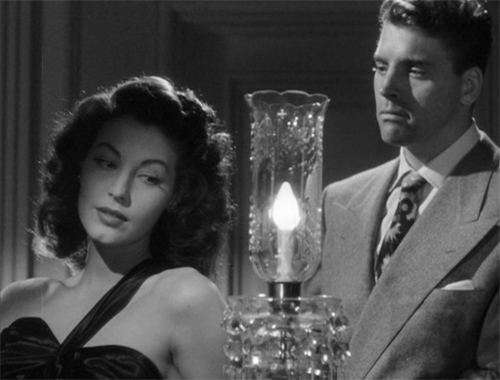 There’s a two shot of Burt and Ava with a light burning between them, Siodmak is shining the love light on our star crossed lovers. This reminded me of a similar shot in Christmas Holiday showing the love of Deanna Durbin and Gene Kelly. 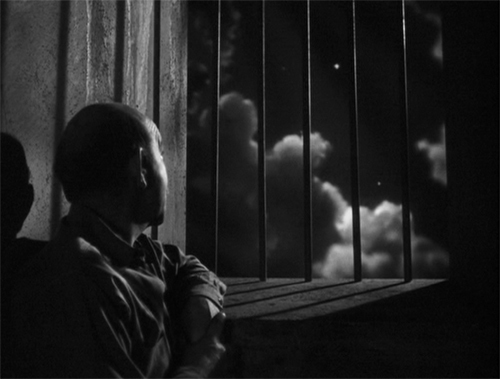 Actually there is another parallel with Christmas Holiday, when Burt is in jail, his cellmate gives an astronomy lecture, they look out their cell window and what do they see but the exact same glass painted clouds parting reveling a star on high that was used at the end of Christmas Holiday! Check it out it’s the same. It has an emotional effect on Burt, he starts thinking about his lost love Ava and asks his cellie to look her up when he gets out. 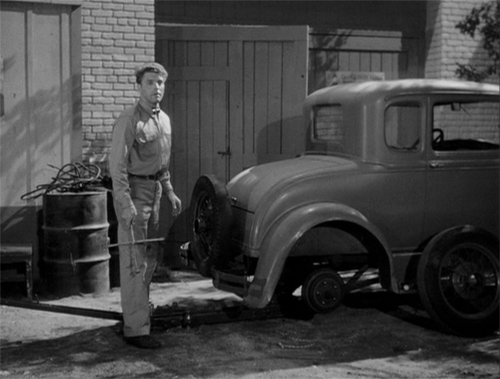 Burt is put in harm’s way by a chance meeting, very similar to what happened to Robert Mitchum in 1947’s Out Of The Past. In both films our protagonists wishing to hide out and start a new life are working at out of the way gas stations when Fate steps in and has a figure from their respective murky pasts show up at the station and recognize them. It’s a study in extending tension here in The Killers. 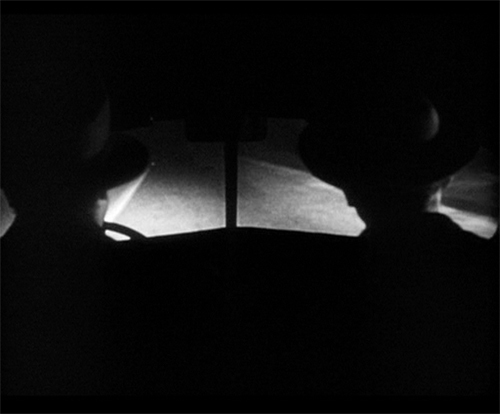 Albert Dekker ( he of the bald dome and thick glasses in Dr. Cyclops) shows up at the bucolic service station and seems to relish torturing subservient attendant Burt, making him check the oil and wash the windshield all the while giving him the fisheye. Another tour de force sequence is the robbery of the hat factory, all done in one take and brilliantly so. The camera tracks and cranes in a virtuoso series of moves that conveys tension, excitement and execution wonderfully. 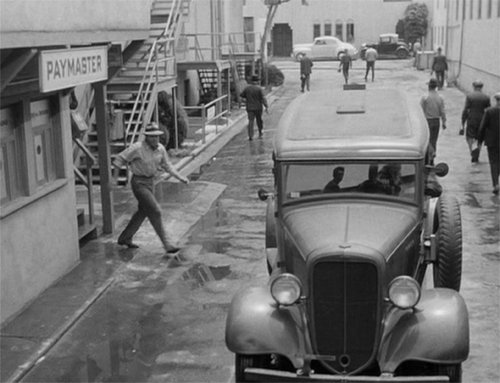 I noticed that you can see the cameraman on the crane reflected in the window of a departing truck but you barely notice it because the film is working so well. I bring this up to make a point as Fellini said the magician must show the card up his sleeve to make the illusion more complete. 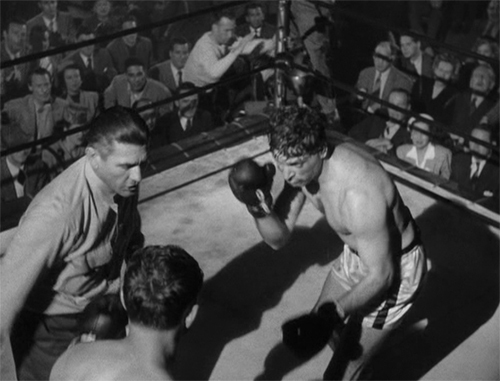 There is a great boxing scene in the film that’s as good as any boxing sequence, it’s like a Whitman’s sampler of Cinematic treats. 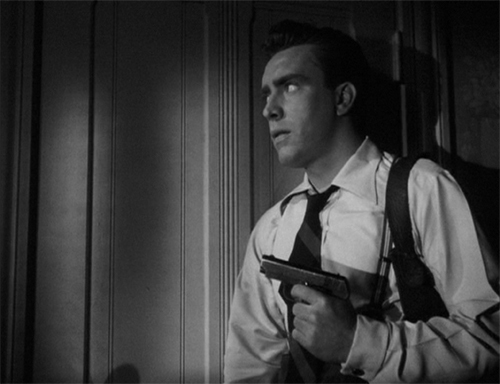 Another Kane connection occurs when Edmund O’Brien is hiding out in the rooming house Burt was killed in. O’Brien is laying in wait for one of the gang, Dum Dum, he listen’s through the door as Dum Dum rents the room and then begins tearing it apart looking for a clue to the whereabouts of the missing heist money. We only see O’Brien listenening but the scene is fraught with tension. It plays just like a radio play, unseen just heard. 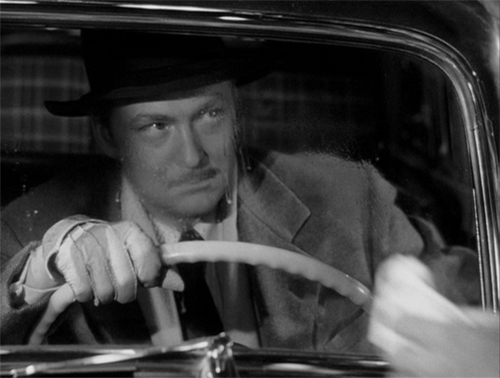 This was a technique Welles excelled in, a natural extension of his years spent in radio. 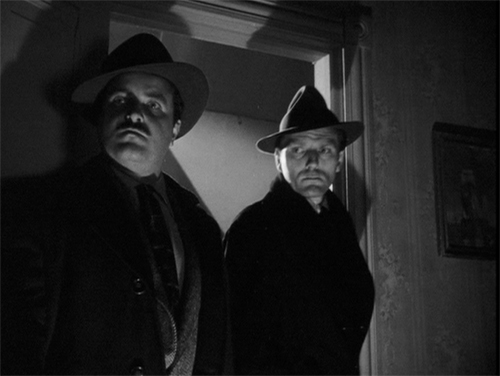 Check out the amazing scene in Touch Of Evil in the suspect’s love nest apartment when Welles and Heston argue as Joseph Calleia searches for and fids evidence off screen. Sheer Genius. 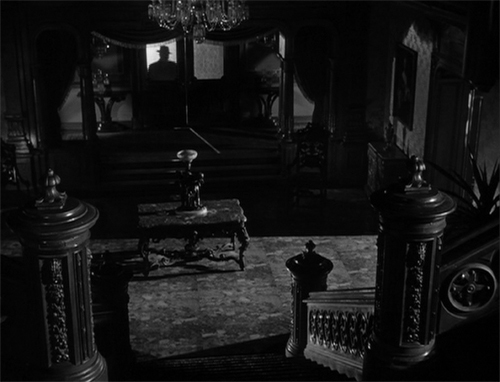 The final note of the Kane symphony is the similarity of Ava Gardner’s and Albert Dekker’s palatial mansion to Kane’s Xanadu. The magnificent staircase is the hallmark of both locations. The Killers is a masterpiece, a great work of Art diguised as a piece of genre entertainment. True Creativity expresses itself no matter what the subject or format.